Much of China’s art world headed west last week, to the inaugural edition of Art Chengdu International Contemporary Art Fair, held from 25 to 27 April in the Sichuan capital, and to concurrent events at Chengdu’s permanent art spaces which created an energetic if unofficial art week for the 4,000 year-old city. Official concerns about safety and crowd control over the initially scheduled May Day holiday forced the schedule to shift to a few days earlier, but that did little to dampen the mood—or the market. Art Chengdu invited 31 galleries, mostly heavy hitters from Beijing and Shanghai, and most reported brisk sales. The 32,000 visitors included much of the coastal art elite, as well as collectors and non-exhibiting dealers from Hong Kong and Taiwan. Many were in Chengdu for the first time, curious about the city’s culture and food as well as its burgeoning art scene. 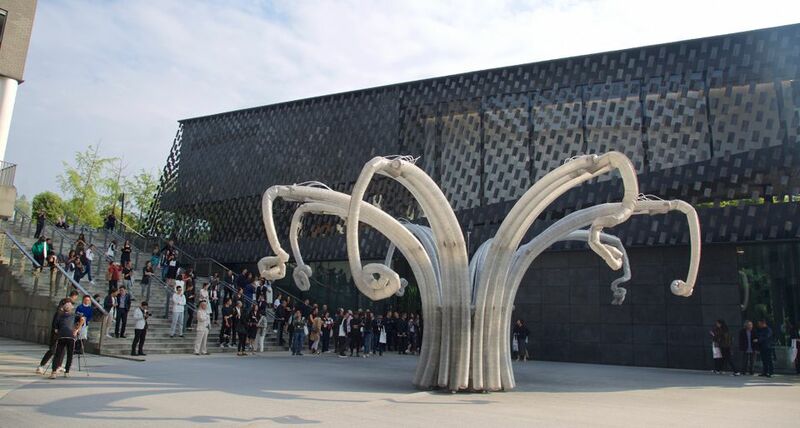 “Many friends are very interested in the Chengdu art scene, which is why the first Art Chengdu could have such an impact—for some of them it provided a chance to come and more deeply understand Chengdu’s opportunities,” says the fair's co-founder Huang Zai. Galleries participated for free this initial year, but she says the fair will expand and charge booth fees for its second iteration.